My name is Ella Simmons, and my partner, Jamie Stuart, and I are students at the University of North Carolina. 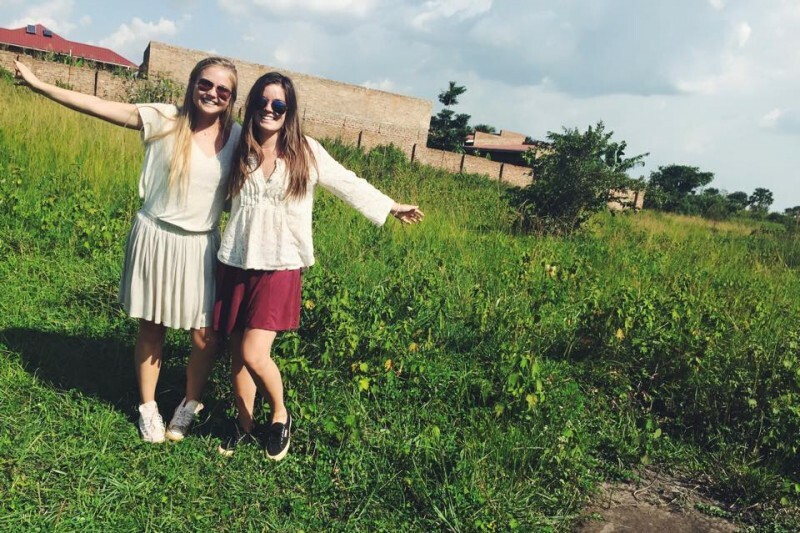 Last summer we lived in Gulu, Uganda working for a women’s microfinance firm. Not only did we fall in love with Gulu and its’ people, but we noticed a serious lack resources for children to learn computer skills and English. Despite Gulu being the second most populated area in Uganda, there are no existing resources for children to get a supplementary education in these areas. One day, we were walking through the town center after work and noticed an empty lot between two buildings. We decided to quite literally “fill the gap,” not only by investing every penny we owned into buying the plot of land, but also by deciding to create a center to fulfill the need of the community for a place where kids could learn find educational resources and opportunities. With the Hope Center, we will create a place where children and youths can take classes and workshops in English, computers, and arts classes, fostering both practical skills and creative mindsets. We can confidently say it was an amazing choice. We have cooked up a dream- a way to help rather than simple donations to charity from another world. We are dreaming of a youth center in Gulu. Our vision is to create a community of educated, creative, and innovative youths by providing a safe environment to develop skills through workshops and classes in English, technology, and the arts. By combining technological and English skills with creativity and artistic expression, we aim to encourage enlightened, motivated attitudes. We have purchased the land and the legal rights to the land, and our next step is construction and getting our 501c3. We have a long road ahead but it is one that we are more than excited about, and we hope that you’d like to help see the Hope Center succeed! The remaining 15,613 USD we are asking for will be used to pay for labor for our program coordinator who organizes and keeps everything moving on the ground, kept as a buffer in case costs end up being higher than these estimates, and saved to be used towards the next steps of construction. If we don't reach our entire goal, we will continue our fundraising through other methods until we have enough to begin preliminary construction. Northern Uganda was ravaged by civil war and left much less developed than the rest of the country. While public education is improving, there are very few resources available. This especially applies to kids who need extra help learning English, or those who are interested in arts or computer classes, neither of which are generally offered in public schools in Uganda. English is necessary for a student to succeed in Uganda, and computer skills are becoming increasingly important in the modern workplace. We also believe that teaching art and music classes to children is important, not only because it teaches them practical skills they can use to make crafts which they can sell, but it engrains a creative mindset. Above all, we want to foster creativity as well as providing the tangible benefits of technological and English classes, thus creating a community of driven, educated, creative youths. The community in Gulu has expressed a lot of interest in the Hope Center and would definitely participate, and we want to see their enthusiasm transform into a bright future full of innovative ideas. Every little counts especially since a dollar goes much farther in Uganda than you'd expect. But even if you can't contribute, we'd love for you to support us in other ways! We're always looking for people to help contribute ideas, spread the word, encourage donors, and support our movement in anyway. Even by reading this far, you've helped our cause. Thank you so much! I love you and am so proud of all you are doing! !